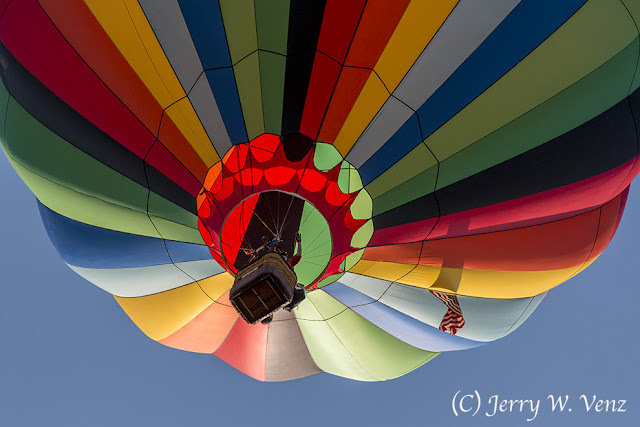 We just had our 25th Annual Spirit of Boise Balloon Classic and as usual I had a blast photographing this very challenging event. My approach as a professional photographer is very different than most amateurs (or other pros) from the results I see posted on the web. 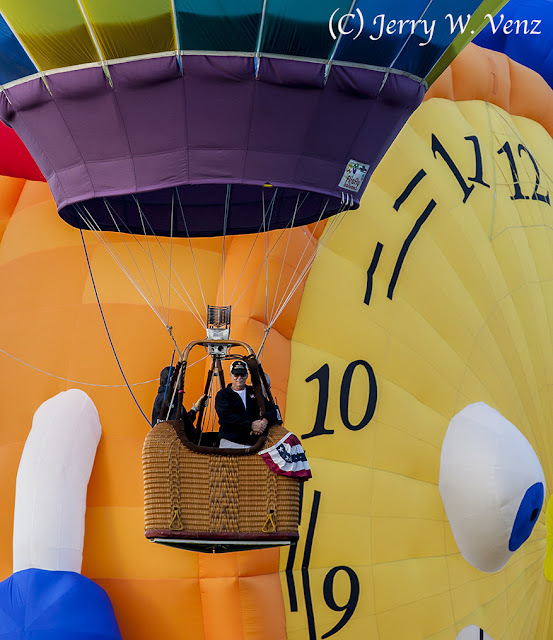 It seems that most photographers either try to cram as many balloons, into each frame they expose, as they can or they do a solitary balloon dead center in a frame. In either case there is no composition; the former is chaos and the latter is static and boring. This image has Four Layers: A foreground balloon, a mid-ground balloon, a background balloon and a cloud filled sky. In addition there’s beautiful directional lighting because of the balloons I choose and where I choose to stand. You see in addition to all this compositional stuff I also want the best lighting I can get as well! 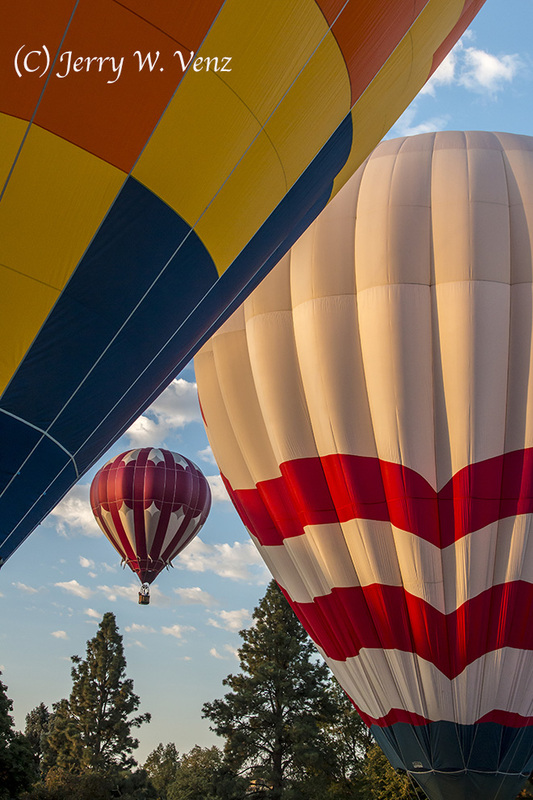 Whenever I can I want the sunrise light to skim across the surfaces of my balloons—creating shadows and three-dimensionality. If I see a balloon scene coming together that’s got all front light (flat light) I’ll quickly move 90 degrees to get the side light I’m talking about; no easy feat with the size of my subjects and all the other spectators and photographers on the field at the same time! By cropping the balloon in camera I cut out the darker, top portion, of the balloon to showcase what caught my eye—that great directional light skimming across the bottom of the balloon and the backlight creating a nice glow above the basket. In addition by off-setting the balloon I created some compositional negative space in the bottom of the frame. When I do this I want the basket of my subject balloon to be layered against another balloon to create an interesting background. It’s not easy since all these balloons are in motion it may only take 15 or 20 seconds for the front balloon to make it’s transit across the back balloon. 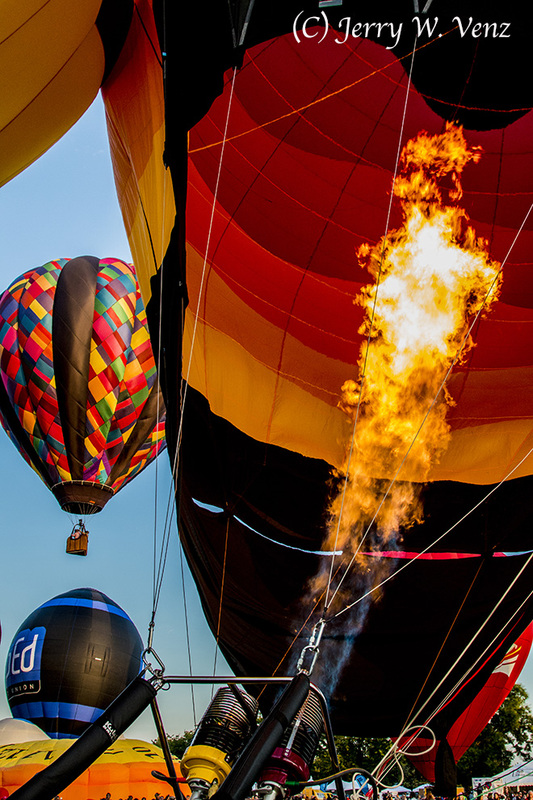 I can’t wait ’till next year’s Boise Balloon Classic!